Movie information alex (Adrian Cabido) is a fifteen-year-old boy who, out of desperation, had to take a job as a gun-for-hire. His father is confined in critical condition at the hospital, and his girlfriend is giving birth soon. He also has to support his younger brother to keep him from dropping out of school. 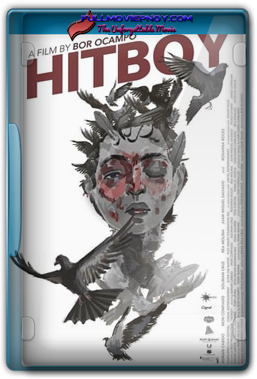 Bor Ocampo’s “Hitboy” starts off with an interesting tone: Alex’s phone alarm goes off, after which he reluctantly goes to the streets, stealing an unguarded bicycle along the way. From there, the film continues to go on a cheery mood, following Alex in a seemingly spontaneous road trip that finds him in a secluded farm. Things take a dark turn when he meets the farmer tending the lands. He tells the farmer that he only wishes to ask for a few mangoes. Clearly, though, Alex has a more sinister motive in mind. This dark, sullen tone goes on as we follow Alex’ story. His arc pulls the audience to the predicament of a child who has to get his hands dirty at such a young age, treading on themes of such films as Eduardo Roy Jr. “Pamilya Ordinaryo”, or Brilliante Mendoza’s “Kinatay”. Alex is unwillingly thrown into a situation where he has to lose all sense of childhood—and humanity—in order to survive.